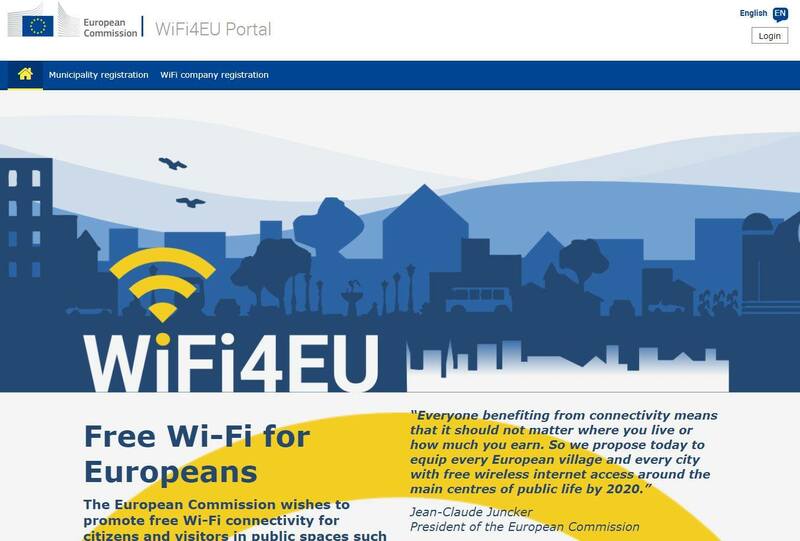 Home » Public Relations and Protocol » News » Filing free wifi applications under WiFi4EU starts tomorrow at 2 pm. Filing free wifi applications under WiFi4EU starts tomorrow at 2 pm. Submitting applications for project financing under the European Commission’s initiative for free public wifi WiFi4EU starts tomorrow, 15 May 2018, at 2 pm. Some 222 Bulgarian municipalities, which account for 84% of the total number, are expected to participate in the first competition under the initiative. The Ministry of Transport, information Technology and Communications is in constant connection with representatives of the local authorities to further clarify the application procedure. As a result, the documents of many of the municipalities are uploaded in the online platform and they will only have to submit them on 15 May. This is of paramount importance as the allocation of financing will be based on the “first come, first serve” principle. For a whole year now MTITC has been carrying out an information campaign to promote the opportunity for free financing of public wifi. The initiative was officially launched in March by the Minister of Transport, Information Technology and Communications Ivaylo Moskovski and the EU Commissionaire for Digital Economy and Society Mariya Gabriel. At present over 17 270 municipalities from all over Europe have registered online, as around 1000 of them will be financed within the first competition.